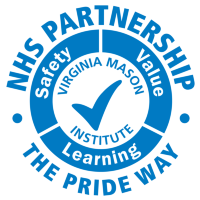 We’re ready to select our next value stream (improvement area) through our partnership with the Virginia Mason Institute (VMI) - and we want your views. We’ve used information from complaints, serious incidents and other feedback mechanisms to identify three areas where we know we need to do better. Read " Choose our next area for improvement …"
Christmas may have come and gone, but that didn’t stop children at Queen’s Hospital getting a special delivery of toys, DVDs and games this week. 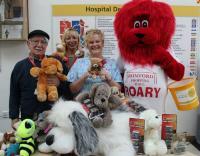 Read " Teen involves her old schools in fundrai…"
A big bundle of toys was delivered to the children’s ward at Queen’s Hospital – thanks to the fundraising efforts of an avid stamp collector and a big ‘Dulux’ dog. Read " Huge fluffy toy dog helps to boost fundr…"
Philip Dunne, Minister for Health, visited Queen’s Hospital this week to welcome a group of nursing professionals as they took their first steps in a new role delivering frontline care. 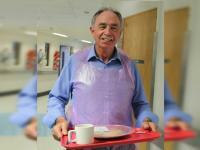 Read " Health minister celebrates start of our …"
Jeffrey Marks, 69, who has volunteered at local hospitals for almost two decades, has encouraged others to come forward and do small things which can make a big difference to our patients. 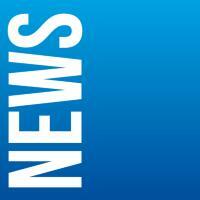 Read " Our volunteer Jeffrey encourages others …"
On Friday 6 January the Metropolitan Police released a statement about one of our midwives found guilty of theft of medication by Snaresbrook Crown Court in December last year. Read " Taking action keeps patients safe…"
Our first baby New Year was keen to make her entrance at Queen’s Hospital – Iyla-Rose Maycey was born at 12:02am, as the fireworks went off to celebrate the start of 2017. Read " First New Year baby at Queen’s Hospital …"